Is Pure Play Storage good? I post storage and cloud related articles to my unofficial SNIA Malaysia Facebook community (you are welcomed to join) every day. It is a community I started over 9 years ago, and there are active live banters of the posts of the day. Casual, personal were the original reasons why I started the community on Facebook rather than on LinkedIn, and I have been curating it religiously for the longest time. Looking back 8-9 years ago, the storage vendor landscape of today has not changed much. The Big 5 hegemony is still there, still dominating the Gartner Magic Quadrant for Enterprise and Mid-end Arrays, and is still there in the All-Flash quadrant as well, albeit the presence of Pure Storage in that market. The Big 5 of today – Dell EMC, NetApp, HPE, IBM and Hitachi Vantara – were the Big 6 of 2009-2010, consisting of EMC, NetApp, Dell, HP, IBM and Hitachi Data Systems. The All-Flash, or Gartner calls it Solid State Arrays (SSA) market was still an afterthought, and Pure Storage was just founded. Pure Storage did not appear in my radar until 2 years later when I blogged about Pure Storage’s presence in the market. 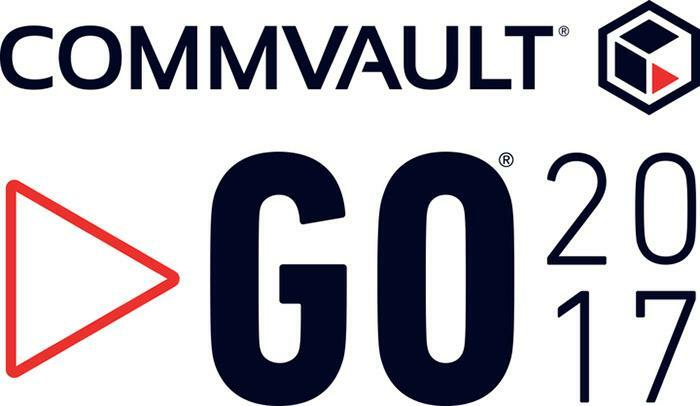 I am here at the Commvault GO 2017. Bob Hammer, Commvault’s CEO is on stage right now. He shares his wisdom and the message is clear. IT to DT. IT to DT? Yes, Information Technology to Data Technology. It is all about the DATA. The data landscape has changed. The cloud has changed everything. And data is everywhere. 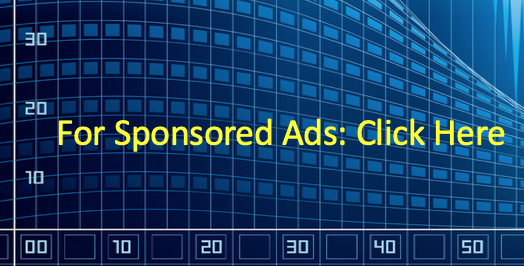 This omnipresence of data presents new complexity and new challenges. 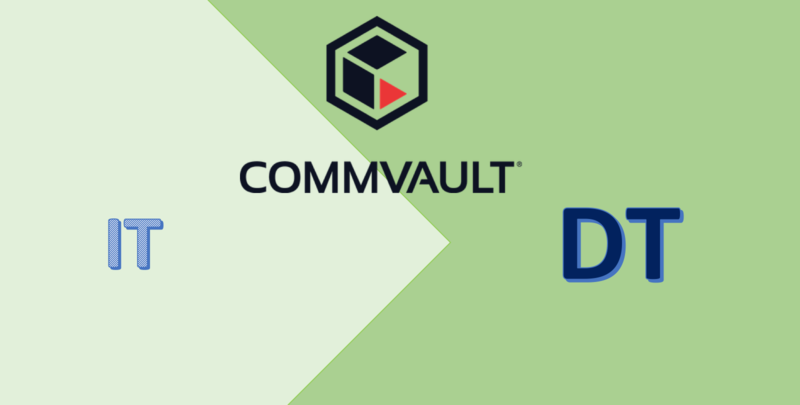 It is great to get Commvault acknowledging and accepting this change and the challenges that come along with it, and introducing their HyperScale technology and their secret sauce – Universal Dynamic Index. I am off to the US again next Monday. I am attending Storage Field Day 14 and it will be a 20+ hour long haul flight. But this SFD has a special twist, because I will be Washington DC first for Commvault GO 2017 conference. And I can’t wait. My first encounter with Commvault goes way back in early 2001. I recalled they had their Galaxy version but in terms of market share, they were relatively small compared to Veritas and IBM at the time. I was with NetApp back then, and customers in Malaysia hardly heard of them, except for the people in Shell IT International (SITI). For those of us in the industry, we all knew that SITI worldwide had an exclusive Commvault fork just for them. I didn’t get a chance to attend Pure Accelerate event last month. From the blogs and tweets of my friends, Pure Accelerate was an awesome event. When I got the email invitation for the localized Pure Live! event in Kuala Lumpur, I told myself that I have to attend the event. The event was yesterday, and I was not disappointed. Coming off a strong fiscal Q1 2018, it has appeared that Pure Storage has gotten many things together, chugging full steam at all fronts. When Pure Storage first come out, I was one of the early bloggers who took a fancy of them. 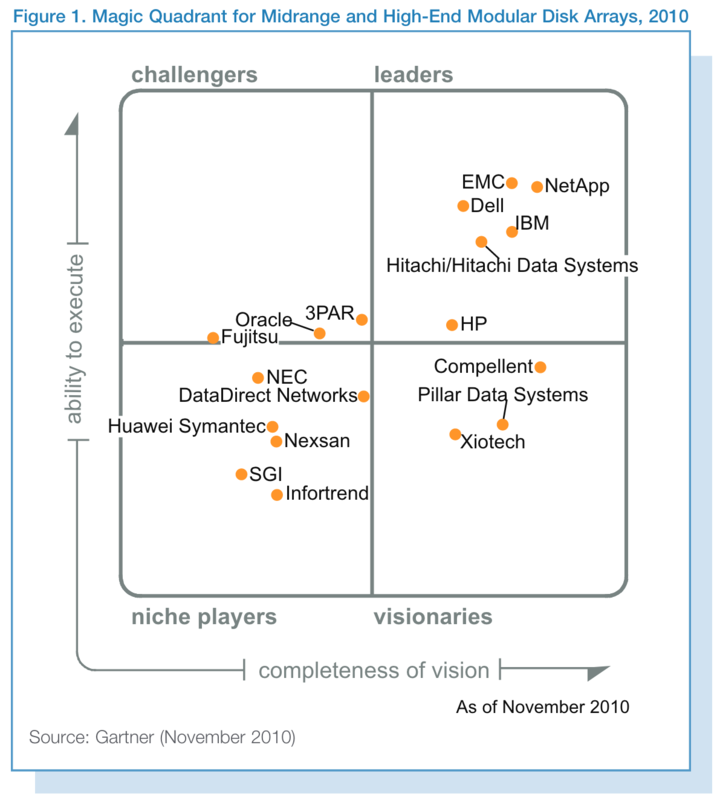 My 2011 blog mentioned the storage luminaries in their team. Since then, they have come a long way. 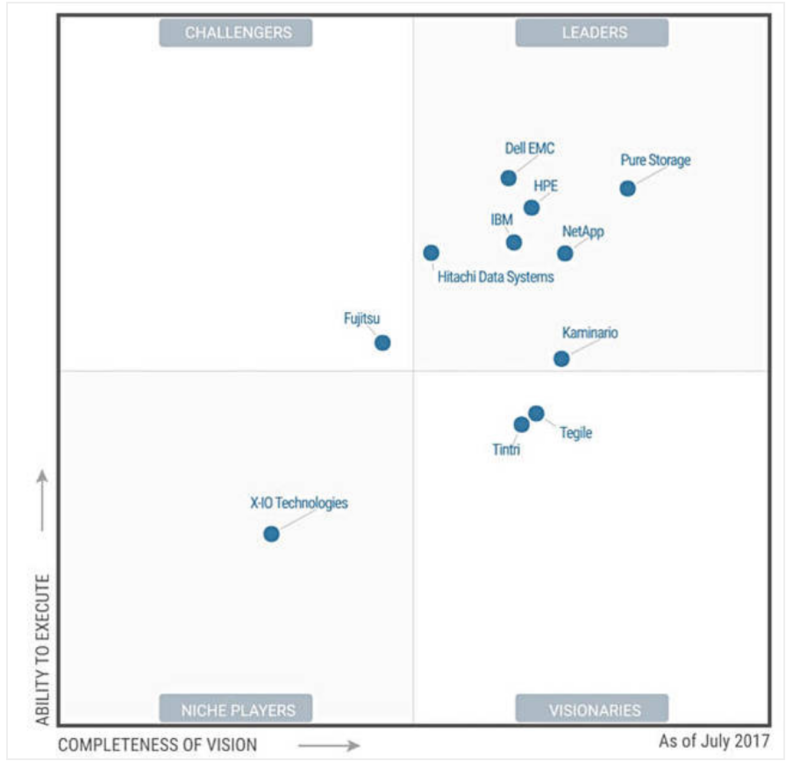 And it was apt that on the same morning yesterday, the latest Gartner Magic Quadrant for Solid State Arrays 2017 was released. Can NetApp do it a bit better? In Day 2 of Storage Field Day 12, I and the other delegates were hustled to NetApp’s Sunnyvale campus headquarters. That was a homecoming for me, and it was a bit ironic too. Just 8 months ago, I was NetApp Malaysia Country Manager. That country sales lead role was my second stint with NetApp. I lasted almost 1 year. 17 years ago, my first stint with NetApp was the employee #2 in Malaysia as an SE. That SE stint went by quickly for 5 1/2 years, and I loved that time. Those Fall Classics NetApp used to have at the Batcave and the Fortress of Solitude left a mark with me, and the experiences still are as vivid as ever. The highlight of the SFD12 NetApp visit was of course, having lunch with Dave Hitz, one of the co-founders and the one still remaining. But throughout the presentations, I was unimpressed. For me, the only one which stood out was CloudSync. I have read about CloudSync since NetApp Insight 2016 and yes, it’s a nice little piece of data shipping service between on-premise and AWS cloud. December 22 2015: I kept this blog in draft for 6 months. 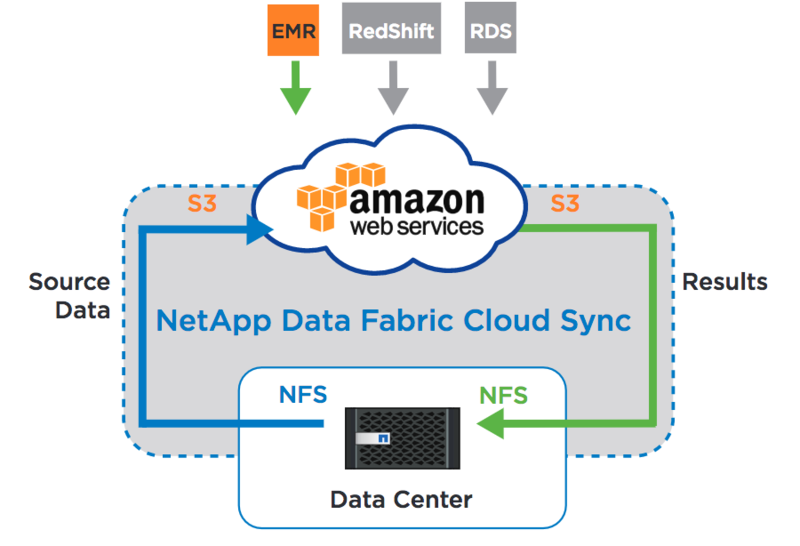 Now I am releasing it as NetApp acquires Solidfire. The above is an old Chinese adage which means “True Gold fears no Fire“. That is how I would describe my revisited view and assessment of SolidFire, a high performance All-Flash array vendor which is starting to make its presence felt in South Asia. I first blogged about SolidFire 3 years ago, and I have been following the company closely as more and more All-Flash array players entered the market over the 3 years. Many rode on the hype and momentum of flash storage, and as a result, muddied and convoluted the storage infrastructure market understanding. It seems to me spin marketing ruled the day and users could not make a difference between vendor A and vendor B, and C and D, and so on…. I have been often asked, which is the best All-Flash array today. I have always hesitated to say which is the best because there aren’t much to say, except for 2-3 well entrenched vendors. Pure Storage and EMC XtremIO come to mind but the one that had stayed under the enterprise storage radar was SolidFire, until now. 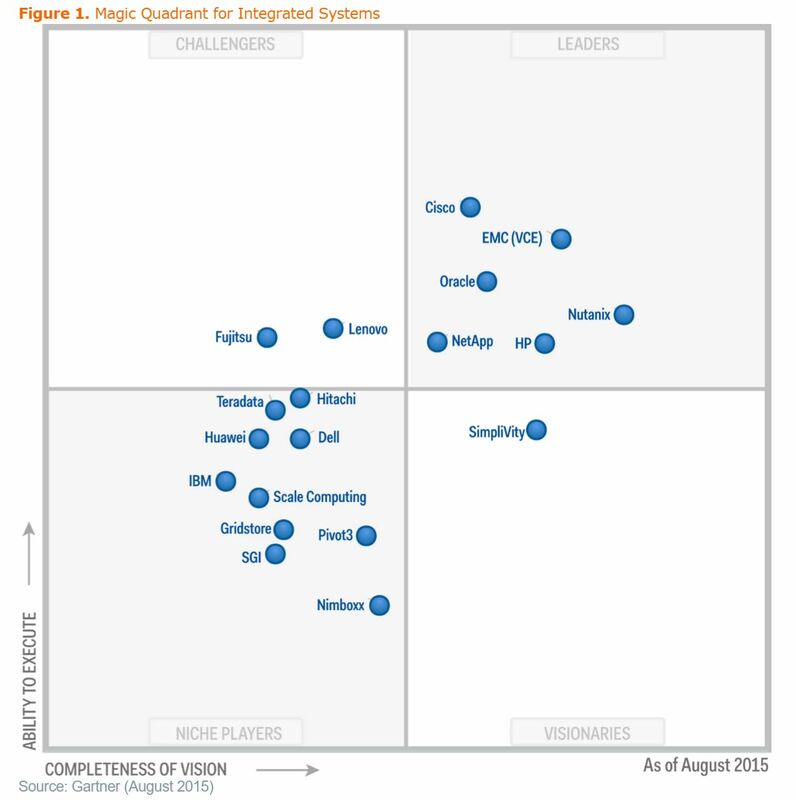 I hate the fact that I am bursting the big bubble brewing about Hyper Convergence (HC). I urge all to look past the hot air and hype frenzy that are going on, because in the end, the HC platforms have to be aligned and congruent to the organization’s data architecture and business plans. 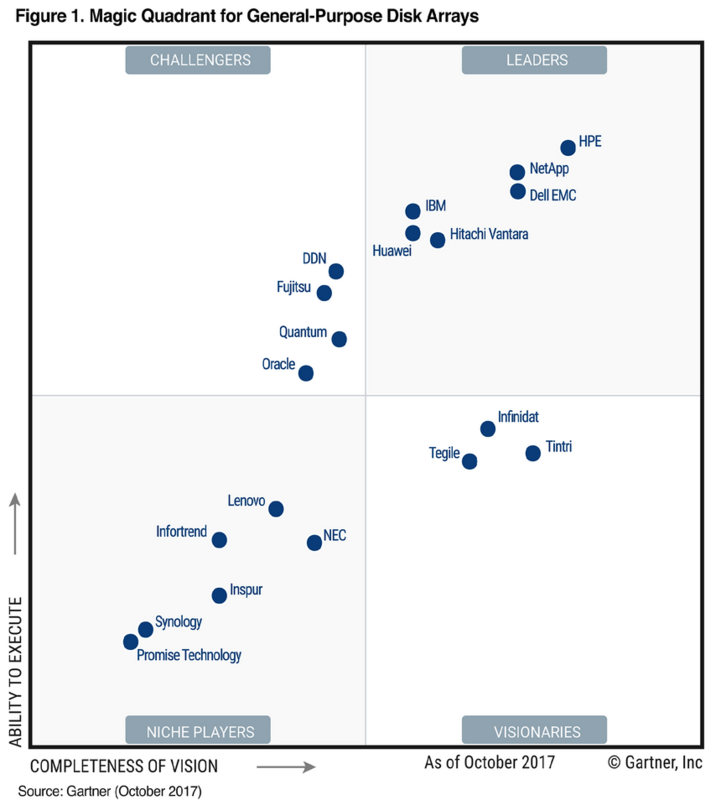 The announcement of Gartner’s latest Magic Quadrant on Integrated Systems (read hyper convergence) has put Nutanix as the leader of the pack as of August 2015. Clearly, many of us get caught up because it is the “greatest feeling in the world”. However, this faux feeling is not reality because there are many factors that made the pack leaders in the Magic Quadrant (MQ). First of all, the MQ is about market perception. There is no doubt that the pack leaders in the Leaders Quadrant have earned their right to be there. Each company’s revenue, market share, gross margin, company’s profitability have helped put each as leaders in the pack. However, it is also measured by branding, marketing, market perception and acceptance and other intangible factors. I was reading a great article by Frank Denneman about storage intelligence moving up the stack. It was pretty much in line with what I have been observing in the past 18 months or so, about the storage pendulum having swung back to DAS (direct attached storage). To be more precise, the DAS form factor I am referring to are physical server hardware that houses many disk drives. 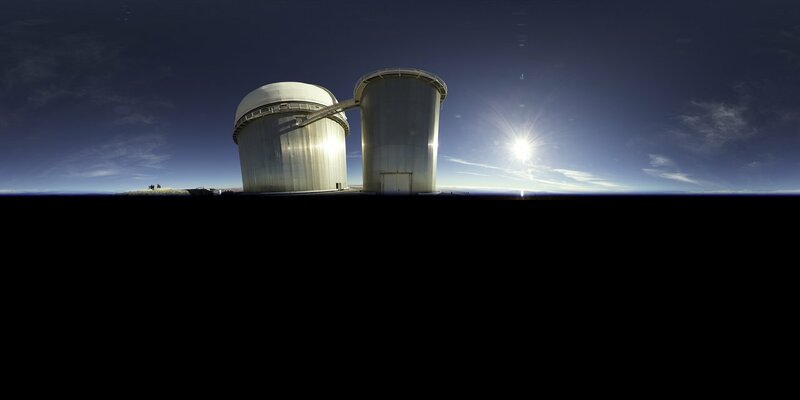 Like it or not, the hypervisor has become the center of the universe in the IT space. VMware has become the indomitable force in the hypervisor technology, with Microsoft Hyper-V playing catch-up. The seismic shift of these 2 hypervisor technologies are leading storage vendors to place them on to the altar and revering them as deities. The others, with the likes of Xen and KVM, and to lesser extent Solaris Containers aren’t really worth mentioning. 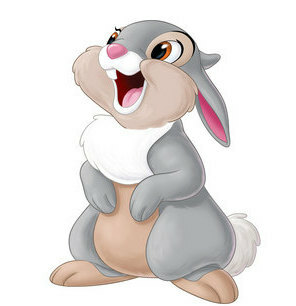 Anyone remember Thumper? Not the Disney character from the Bambi movie! When the SunFire X4500 (aka Thumper) was first released in (intermission: checking Wiki for the right year) in 2006, I felt that significant wound inflicted in the networked storage industry. Instead of the usual 4-8 hard disk drives in the all the industry servers at the time, the X4500 4U chassis housed 48 hard disk drives. The design and architecture were so astounding to me, I even went and bought a 1U SunFire X4150 for my personal server collection. Such was my adoration for Sun’s technology at the time. My training engagement landed me in Manila this week. At the back of my mind is Novell Filr, first revealed to me a week ago by my buddy at Novell Malaysia. After almost 18 months since I first wrote about it, Novell Filr is about to be revealed in my blog within this month. And it has come at an opportune time, because the enterprise BYOD/file synchronization market is about to take off. Gartner defines this market as Enterprise File Synchronization and Sharing (EFSS) and it is already a very crowded market given the popularity of Dropbox, Box.net, Sugarsync and many, many others. It is definitely a market that is coveted by many but mastered by a few. There are just too many pretenders and too few real players. The worldwide storage market is going through unprecedented change as it is making baby steps out of one of the longest recessions in history. We are not exactly out of the woods yet, given the Eurozone crisis, slowing growth in China and the little sputters in the US economy. Back in early 2012, Fujitsu has shown good signs of taking market share in the enterprise storage but what happened to that? In the last 2 quarters, the server boys in the likes of HP, IBM and Dell storage market share have either shrunk (in the case of HP and Dell) or tanked (as in IBM). I would have expected Fujitsu to continue its impressive run and continue to capture more of the enterprise market, and yet it didn’t. Why? I was given an Eternus storage technology update by the Fujitsu Malaysia pre-sales team more than a year ago. It has made some significant gains in technology such as Advanced Copy, Remote Copy, Thin Provisioning, and Eco-Mode, but I was unimpressed. The technology features were more like a follower, since every other storage vendor in town already has those features.